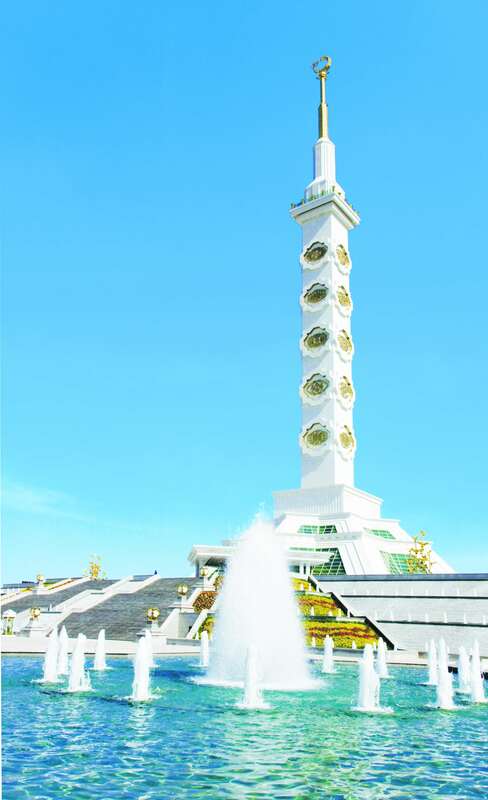 Constitution of Turkmenistan, which is the reliable legal base our powerful state, concentrates centuries-old dreams of our people and such conceptions as Revival, consent, humanism, honesty, liberty, patriotism and democratic mechanism of the government, principle of Neutrality, recognized by UNO. 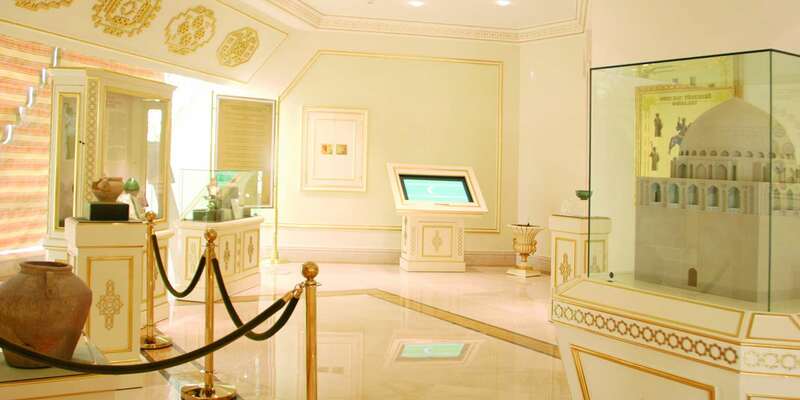 Museum, which consists of six halls and installed by modern interactive equipment shows you ancient history of Turkmen people, their rich cultural heritage and well-known personalities. 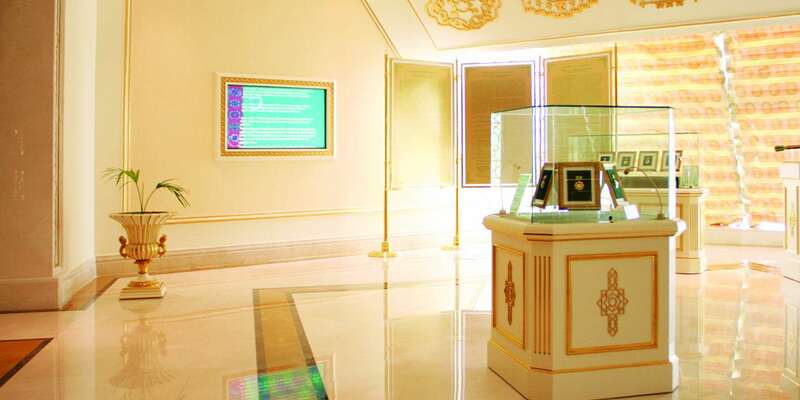 The first hall is devoted to Constitution of Turkmen state and history of Independent and Neutral Turkmenistan, portrait of the President of Turkmenistan GurbangulyBerdymukhamedov is in the centre of the hall. Imprints of national emblem and our honourable President's colour are on both sides of portrait. The main Code of law of our state is on special pedestal and in special show-cases is Constitutional law of Turkmenistan “On corrections and additions into the Constitution of Turkmenistan” signed by our President on 26-th of September 2008, and declaration on state sovereignty of Turkmenistan adopted on 22-nd of August 1990. There are also pictures of state awards of Turkmenistan in this hall. In the second hall are exposed books by the President of Turkmenistan Gurbanguly Berdymukhamedov, legislative acts of our state and printings telling about history of Turkmenistan in different periods. There are texts of national anthem of Turkmenistan, sacred Oath and some citation from Constitution of Turkmenistan. A special peculiarity of this hall is an electronic library on the basis of new interactive technologies. You can choose necessary book by one manipulation of your hand. There is also information about books in three languages: Turkmen, English and Russian. The third hall of museum is devoted to national economy and its main branches. In the fourth hall on special stands are exposed wise statements of the President of Turkmenistan. Here are also enumerated and shown scientific achievements, awards and souvenirs to honourable President of Turkmenistan Gurbanguly Berdymukhamedov. Memorable and jubilee coins devoted to various dates attract our attention. Ethnographic exhibits are shown in the fifth hall. There are age-old manuscript books, amazing musical instruments; having gone through centuries they bring a spectator back to the past. In the sixth hall is told about the history that origins from legendary Oguz khan. With the help of sensory display one can get information about the great progenitor of Turkmen people, his activity and states founded in different periods by our ancestors. There is a map of modern Turkmenistan among the exhibits. Location of the world-known historical and cultural monuments is shown on this map. Here are also artifacts found in different parts of our country during the archaeological excavations. Monument of Constitution of Turkmenistan, spreading honour and glory of our Independent and Neutral fatherland, is a bright evidence that it is moving forward confidently to the radiant future.